Metaloid: Origin, from RetroRevolution, follows up on the developer's previous Mega Man-inspired actioner, Metagal, but delivers a much more polished experience. The game stars one of three robot cat ladies, each with a different set of weapons and special attacks, and you choose one to take into battle. From there, you can purchase and unlock new firing types, special attacks, movement abilities, and passive buffs to help you take down bad bots across nine themed areas. The game is a fast-paced combat experience at its core, but it rewards exploration, and it changes things up a bit with the occasional environmental puzzle or gameplay-altering vehicle combat sequence. 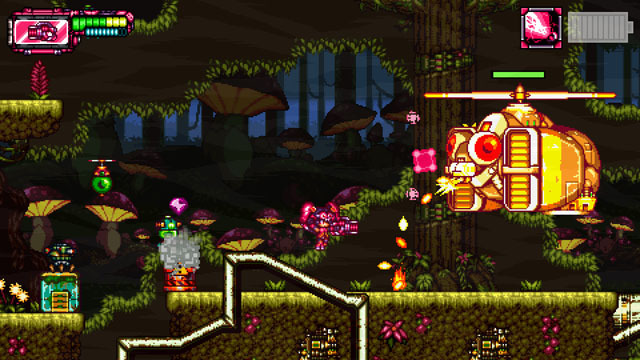 The game also features numerous boss and miniboss encounters, each with unique behaviors that require you take full advantage of your weapons and special abilities to bring them to their fiery demise. The game is now available on PC and Mac via Steam, and is planned for consoles at a later date. Check our coverage here.